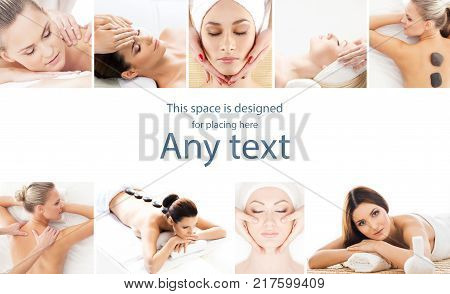 Set with young and beautiful womane relaxing in spa. 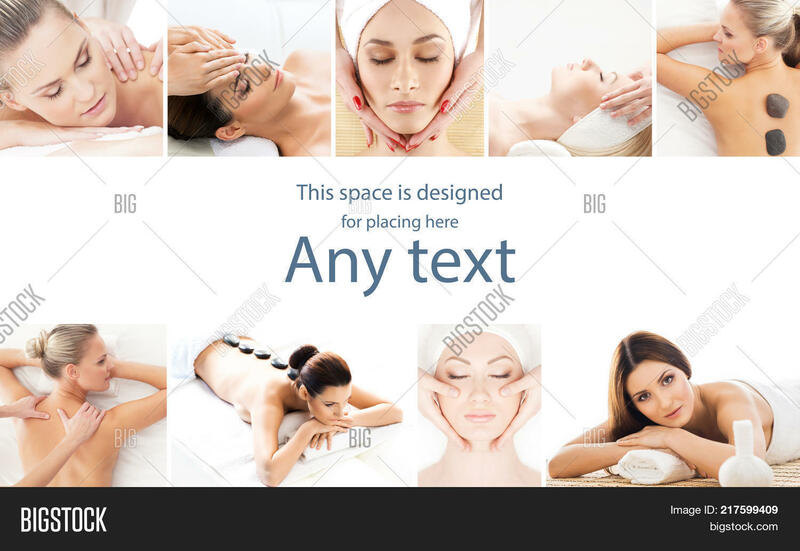 Woman in massaging salon. Traditional oriental therapy and massaging treatments. Health, care and medicine concept.